His firm concentrates on serious personal injury and medical malpractice claims litigation throughout Ontario. The firm prides itself on enabling injured victims and their families to obtain access to the justice system. For many years, he has been named as a leading personal injury and medical malpractice lawyer by Best Lawyers® and the Lexpert®. He is also certified by the Law Society of Upper Canada as a Specialist in Civil Litigation. Patients have the right to expect that their healthcare providers will provide them with sufficient, reasonable and thoughtful medical care. Unfortunately, there are occasions in which doctors, nurses and other medical staff are negligent, resulting in treatment that is below the acceptable standard or is in other ways unacceptable, putting patients in danger of harm. Medical malpractice lawyers specialize in fighting for those who had their trust and care compromised, and understand the complexities of these difficult cases. 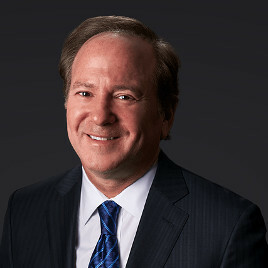 Richard has a proven track record of success obtaining the compensation his medical malpractice clients deserve. Medical malpractice is not common – But it happens. These claims are very difficult to successfully advance. You need an experienced medical malpractice lawyer in Toronto to evaluate the alleged malpractice and advise on the best way to proceed. If you or someone you know placed your health and well-being into the hands of a medical professional and experienced any form of malpractice, you need to speak to Richard and his team at Bogoroch and Associates LLP. If Richard agrees to take your case, he will advocate vigorously on your behalf to seek to obtain the compensation you deserve.